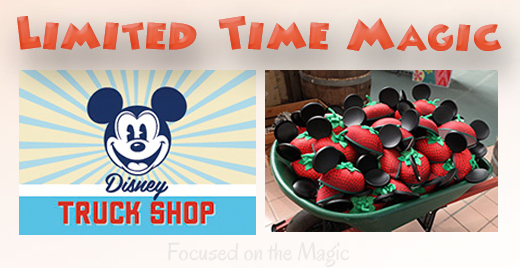 Vintage-Style Tees at the Disney Truck Shop & Pick up a Strawberry Eat Hat! | Focused on the Magic : Vintage-Style Tees at the Disney Truck Shop & Pick up a Strawberry Eat Hat! Vintage-Style Tees at the Disney Truck Shop & Pick up a Strawberry Eat Hat! Don't forget to pick up a Strawberry Ear Hat while visiting the Flower & Garden Festival. They are only available during the month of April & while supplies last at select locations in Epcot. 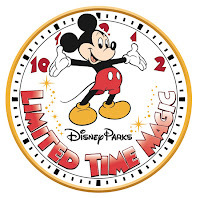 Have you experienced Limited Time Magic?